MAAC Review: KICKBOXER – RETALIATION | M.A.A.C. 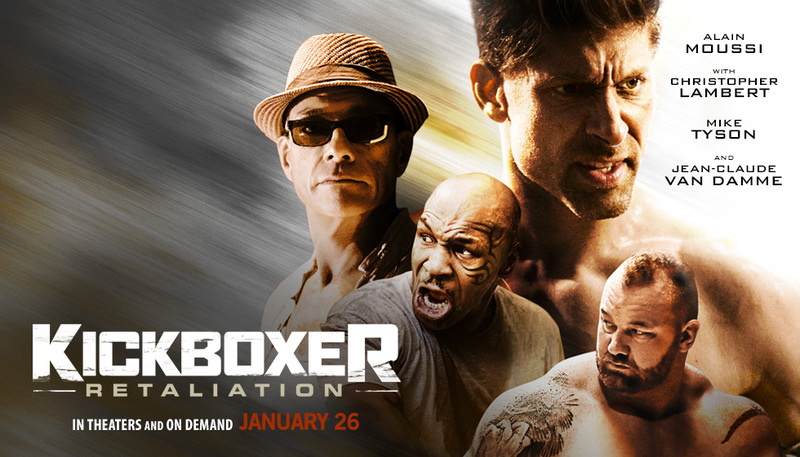 KICKBOXER: RETALIATION takes place one year after the events of ‘Kickboxer: Vengeance’. 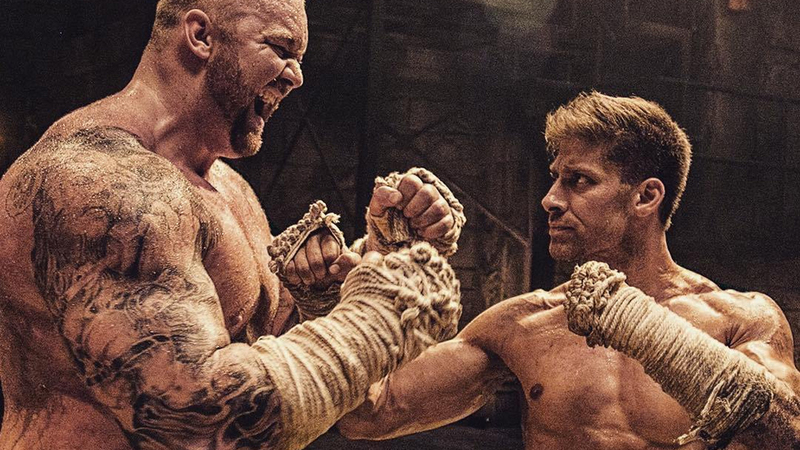 Kurt Sloane (Alain Moussi) has left the illegal underground fighting behind him. But gangster and illegal fight promoter Thomas Moore (Christopher Lambert) kidnapps Sloane, tries to force him back and enter into one last fight to the death. To convince Sloane, he is put in a prison where gangs of thugs will attack him and guards will whip him daily until he gives in. Sloane is supposed to fight Mongkut (Game of Thrones’ Hafþór Júlíus Björnsson), “a state of the art miracle of bioengineering killing machine, a fighter bred from generations of fighters with the top modern chemistry” (according to the movie). Impelled to upgrade his already considerable skill to fight this adrenaline-cocktail injected giant monster-man, Sloane must train under a variety of weird characters. Amongst others are former boxing champ MIKE TYSON (Ip Man 3) and soccer superstar RONALDHINO, who shows up kicking soccer balls at Sloane for no apparent reason. 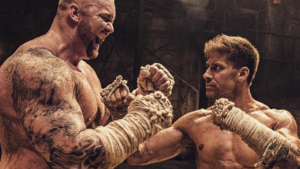 ‘Kickboxer: Vengeance’ (John Stockwell, 2016), the first installment of this planned trilogy was a lackluster affair. It had a smug touch of “we know it’s all silly” and couldn’t decide what tone it aimed for. This sequel though has decided: flat out, full blown over the top silly. It has a bare minimum of coherence, if any at all, and a throw everything at the screen, scattershot sense of structure. Jean-Francois Lachapelle and main star ALAIN MOUSSI replaces Larnell Stovall as fight coordinators and they do a commendable job. A more brash outrageous style than Stovall’s efficient “realism” (although edited to shreds in ‘Vengeance’). It fits the over-the-top feel well. 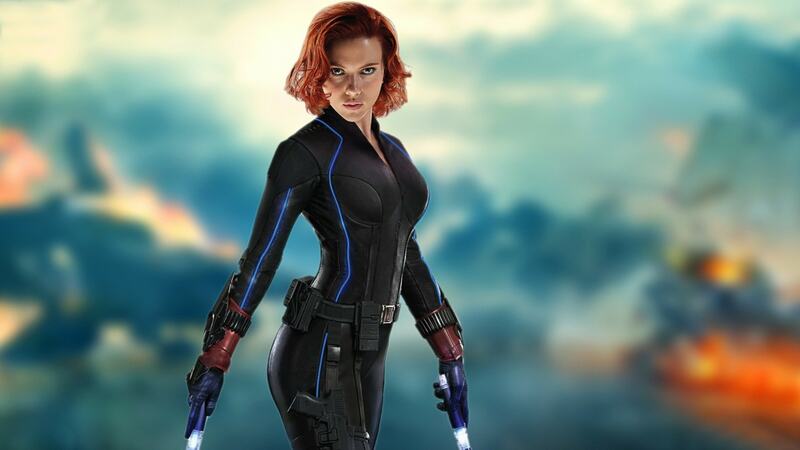 What it lacks in finesse it upends in share numbers. Consisting of some tightly framed, over edited short ones, a couple of show off-y one-takers (undermined by baffling music choices), an overlong final fight and some well rounded, clearly shot fights in between. 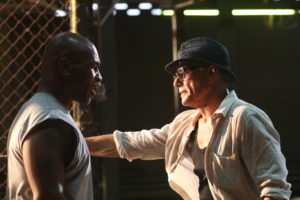 Lachapelle and Moussi is shown here opting for a simplified, cinematic approach, where Stovall would suggest through the choreography itself how a fighter must think and adapt to handle the circumstances. Bluntly they are trying to mimic something similar through visual foreshadowing that doesn’t pay off and feels gimmicky. 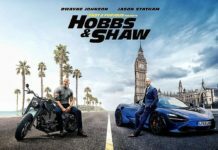 The action scenes varying levels of quality in set-up and implementation makes it a bit hit or miss but there is enough here that works fine, and disappointing fights are brief and soon gives way for better ones. Overall it’s a good choice to overstuff, as director Dimitri Logothetis seemingly poor structuring and narrative skills would have bogged down a more story-driven approach. 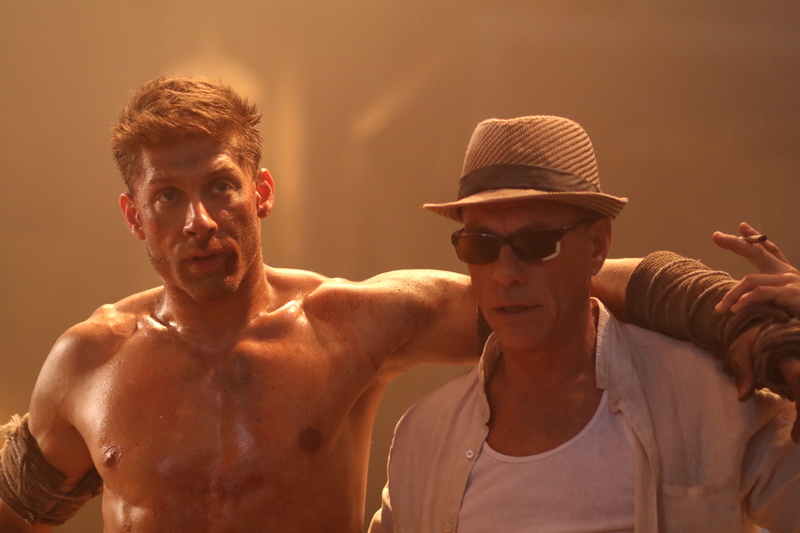 Alain Moussi is a strong on screen fighter but a wooden performer and has trouble carrying a movie. He is however immensely aided here by veteran actor CHRISTOPHER LAMBERT (Mortal Kombat) and JEAN-CLAUDE VAN DAMME (Kill’Em All). Christopher Lambert is enjoying himself hamming it up in a great villain turn, all raspy weird voice and glares. Jean-Claude Van Damme in turn reprises his role as ‘Master Durand’. Having perfected this character, using clean graceful lines with small quirks and gestures to punctuate movement, Van Damme absolutely shines. Mike Tyson in turn, no actor by any stretch of the imagination, handles himself surprisingly well with his imposing corporeality and would have been a far more interesting adversary than Hafþór Júlíus Björnssons pedestrian turn as ‘Mongkut’. This feels like some kind of weird nightmarish ‘Expendables’ as imagined by bots and algorithms, not only in its weird casting but also in overall structure. Within 20 minutes the movie has browsed through a dream sequence, flashbacks, a variety of ugly graphics, a shower scene, whippings, and an assortment of fights and weird montages. Flipping through tropes and other stuff as to check them off, it’s all over the place and doesn’t even care. In the hands of a more staunch stylist this channel-zapping approach to action cinema could have worked wonders, instead we have a mess. But while hard pressed to call any of this good, it is never anything less than enjoyable. The amount of action coupled with this careless approach lends the movie a brisk pace. 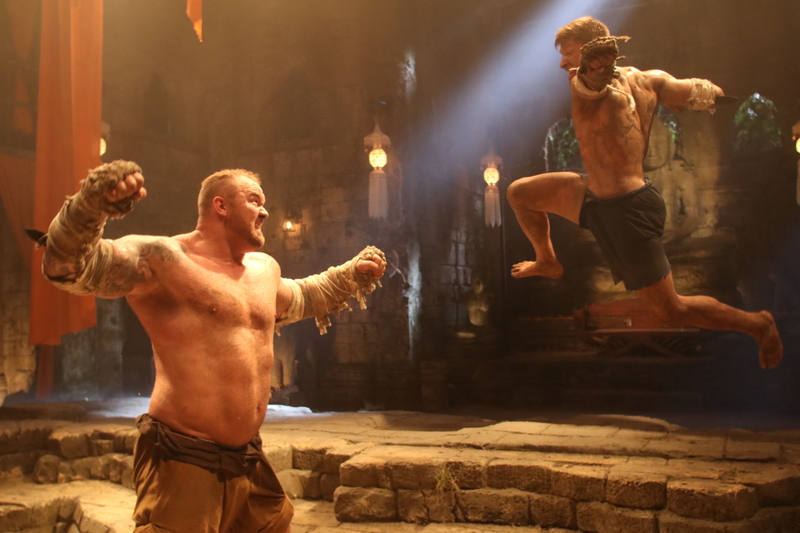 ‘Kickboxer: Retaliation’ is an entertaining, probably critic proof, and most crucial: ACTION PACKED wilderness of a movie. Although at almost two hours, in the end, it overstays its welcome and can’t sustain itself on energy alone. The next chapter will be of interest, if only to see who and what they can possibly add in their attempt to top this. Hopefully there will be mutant lizard people added. Then maybe a tonal shift and consider concluding The Kickboxer Cinematic Universe saga with the addition of an austere, dry-witted ‘Master Durand’ spin-off vehicle for Jean-Claude Van Damme? 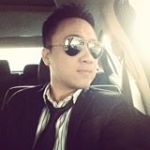 Being an martial arts movies fan and a movie blogger myself, I really enjoyed the movie and your review. Recently. I also wrote about the flick. I think that it is far better than its predecessor and a hell lot of fun actioner. 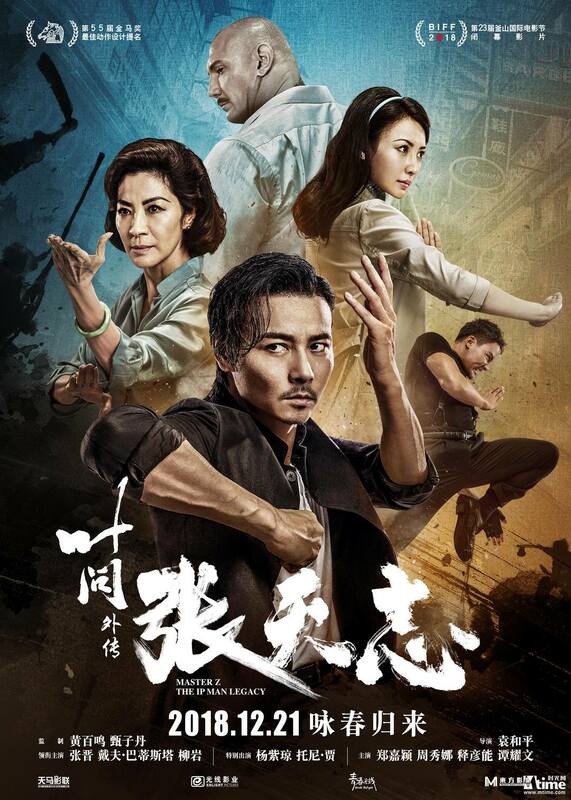 Impressive fight choreography, and an action movie that doesn’t take itself too seriously. Enjoy the top notch martial arts! The lead actor is the real deal.